The season finale is one of the most rewarding experiences of watching scripted television. Many series have had great seasons that failed to follow-through on superb set-ups come finale time, but most rise to the occasion and deliver a conclusion that both works as a single episode of TV and a pay-off for a season-long investment. With HBO's terrific crime series Boardwalk Empire concluding its third year at the end of the week, all eyes are on the Prohibition-set drama to wrap up the warring conflict between Atlantic City boss Nucky Thompson (Steve Buscemi) and Gyp Rosetti (Bobby Cannavale) in a grand fashion similar to the stunning resolution of the second season's conflict between Nucky and protégé-turned-foe Jimmy Darmody (Michael Pitt). 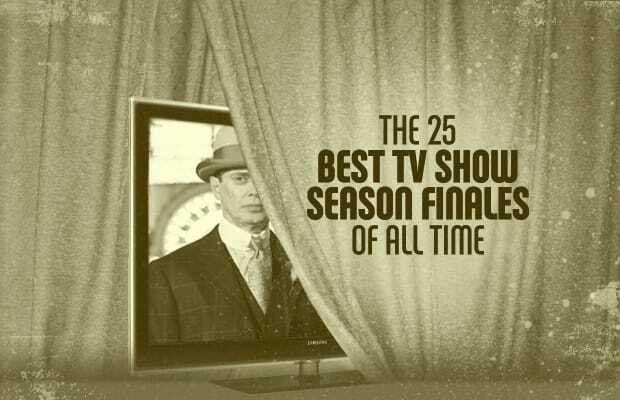 We have no doubt that the Boardwalk boys will deliver, and to celebrate what's sure to be a much-discussed finale, Complex is counting down the 25 best season finales of all time. It's a definitive list of all of the coolest twists, cruelest cliff-hangers, and edge-of-your-seat conclusions in television history, drama and sitcom (but excluding series finales).